If you read one long thing today, read Jeffrey Toobin's profile of Rudy Giuliani in The New Yorker— "The former mayor’s theatrical, combative style of politics anticipated — and perfectly aligns with — the President’s." Key quote: "Before Giuliani joined the defense, [Trump's former lawyer John] Dowd and Mueller came close to an agreement for the President to voluntarily testify. They even scheduled a date and a location: January 27, 2018, at Camp David. ... Talks between the Trump and the Mueller teams later broke down..."
"If the negotiations over a voluntary interview fail, as now seems likely, Mueller may decide to subpoena the President. 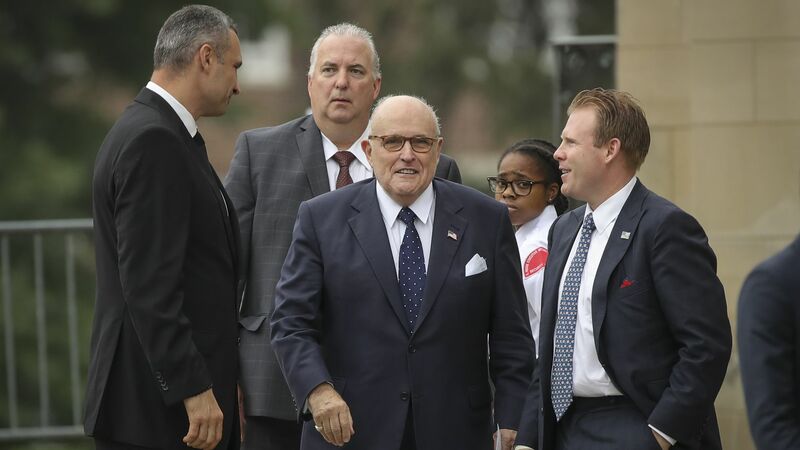 Giuliani has weighed in on the legality of Presidential subpoenas in the past." "In 1997, a unanimous Supreme Court ruled that President Clinton was legally obligated to submit to a deposition in Paula Jones’s sexual-harassment case against him. As the special prosecutor Kenneth Starr’s investigation of Clinton intensified, the following year, Charlie Rose put the question to Giuliani in an interview: Would the President have to obey a grand-jury subpoena for his testimony? 'He’s gotta do it. He doesn’t have a choice,' Giuliani responded. 'Under the criminal law, everyone should be treated the same. ... As far as the criminal law is concerned, the President is a citizen.'"